1960s Vietnam Veteran of America - $10.00 : Bob Hoyts Classic Inspection Stickers, Add a Final Touch to your Restoration! 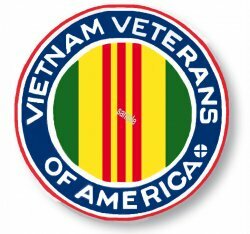 This 2 1/2 by 2 1/2 inch window stickersignifies a Vietnam Veteran. At long last in very recent years, America has begun recognizing the heroes who gave their service and their lives to defend our county and our way of life. We have lowered our price on these stickers for this reason. This sticker has our patented "Peel and Stick" format which allows you to adhere it to the inside window of your car.